The Wellesley/Weston Chabad was founded on the basic principle that a Jew is a Jew is a Jew. Simply put, we do not recognize the labels of Orthodox, Conservative, or Reform Judaism. As we are the children of one G‑d, who study from one Torah, we are in fact one People, and as such we welcome all Jews looking to share and celebrate in our common heritage. We attract a large and diverse group of people because we foster an environment that enables each individual to explore his/her own unique relationship with Judaism at their own pace. With a wide selection of programs for every family member, including college students, young single professionals as well as for seniors, the Wellesley/Weston Chabad Learning Center is a vibrant and exciting place to be. Its a place where you can follow any of the many paths of your Jewish heritage — its the place where Judaism comes alive! 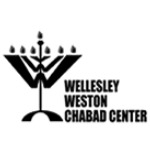 The Wellesley-Weston Chabad (WWC) was established by Rabbi Moshe and Geni Bleich with the idea of providing a rich traditional Jewish home that could be enjoyed by everyone in the community. Rabbi Bleich, a native of Brooklyn, received his rabbinical ordination in Jerusalem after studying in Brooklyn, London and the Ukraine. He is an avid sports fan and can often be found on Sunday mornings playing football, baseball or basketball with members of the community and area college students. Mrs. Bleich, a native of Morristown, New Jersey, is perhaps one of the most active local Jewish role models for young women wanting to share in the joys of traditional Judaism. She teaches children in the New England Hebrew Academy as well as teaching numerous local children, and leads all of the classes at the Chabad center on subjects important to every Jewish Woman. 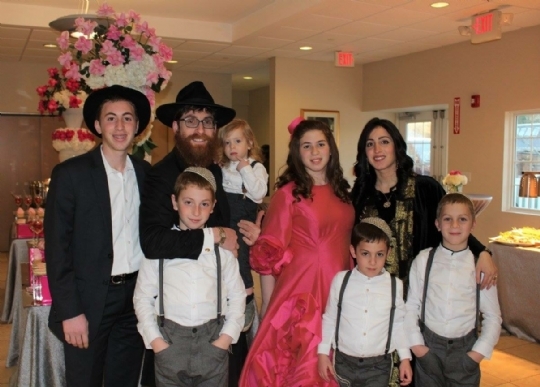 The Bleichs have eight wonderful children: Mendy, age 18; Effi, age 15; Esty, age 12; Levi, age 10; Schneur, age 8, Baruch, age 6, Dovie 3 and little baby Yisroel. Mendy, is studying in Yeshiva (Rabinical College) in France, while Effi is in Yeshiva High School in Monsey, NY, Esty, Levi, Shneur, Baruch and Dovie attend New England Hebrew Academy in Brookline. Mendy aspires to be like his Tatty someday and play shortstop for the Chabad softball team — the Shluggers, while Effi & Levi, no less a sports fans, each throw a mean fastball while Esty is gaining command over the chant — GO SHLUGGERS, while becoming a world class runner at the Strivers Academy of running! The word "Chabad" is a Hebrew acronym for the three intellectual faculties of: chochmah-wisdom, binah-comprehension and da'at-knowledge. The movement's system of Jewish religious philosophy, the deepest dimension of G‑d's Torah, teaches understanding and recognition of the Creator, the role and purpose of Creation, and the importance and unique mission of each Creature. This philosophy guides a person to refine and govern his and her every act and feeling through wisdom, comprehension and knowledge.The word "Lubavitch" is the name of the town in White Russia where the movement was based for more than a century. Appropriately, the word Lubavitch in Russian means the "city of brotherly love." The name Lubavitch conveys the essence of the responsibility and love engendered by the Chabad philosophy toward every single Jew. Following its inception 250 years ago, the Chabad-Lubavitch movement — a branch of Hasidism — swept through Russia and spread in surrounding countries as well. It provided scholars with answers that eluded them and simple farmers with a love that had been denied of them. Eventually the philosophy of Chabad-Lubavitch and its adherents reached almost every corner of the world and today affect almost every facet of Jewish life. In our generation, the Lubavitcher Rebbe, Rabbi Menachem Mendel Schneerson, known simply as "the Rebbe," guided post-holocaust Jewry to safety from the ravages of that devastation. 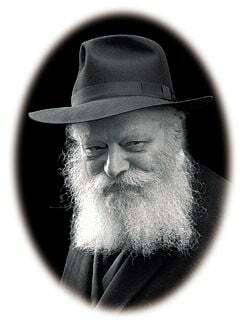 Organization: The origins of today's Chabad-Lubavitch organization can be traced to the early 1940's when the sixth Lubavitcher Rebbe, Rabbi Yosef Yitzchak Schneersohn of righteous memory (1880-1950), appointed his son-in-law and later successor, Rabbi Menachem Mendel, to head the newly-founded educational and social service arms of the movement. Today 4,200 full-time emissary families apply 250 year-old principles and philosophy to direct more than 3,300 institutions (and a workforce that numbers in the tens of thousands) dedicated to the welfare of the Jewish people worldwide.